I currently have 3 of these in the shop. They all have slight differences. This one has the most of the visible copper wash that is given to these cast iron frames. 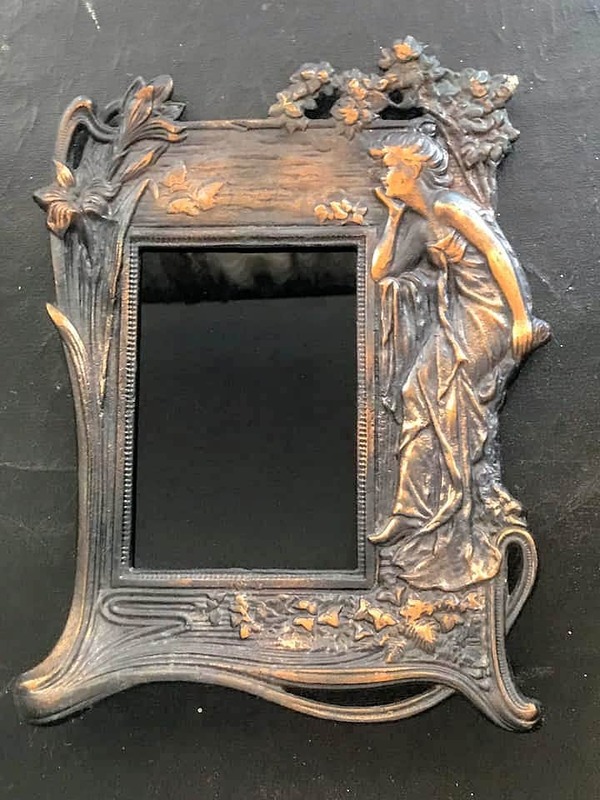 The last photo of the frame lying on the table has been lightened slightly to show you the detail of the mirror and the amount of visible copper wash. I have replaced the scrying area and the backing. 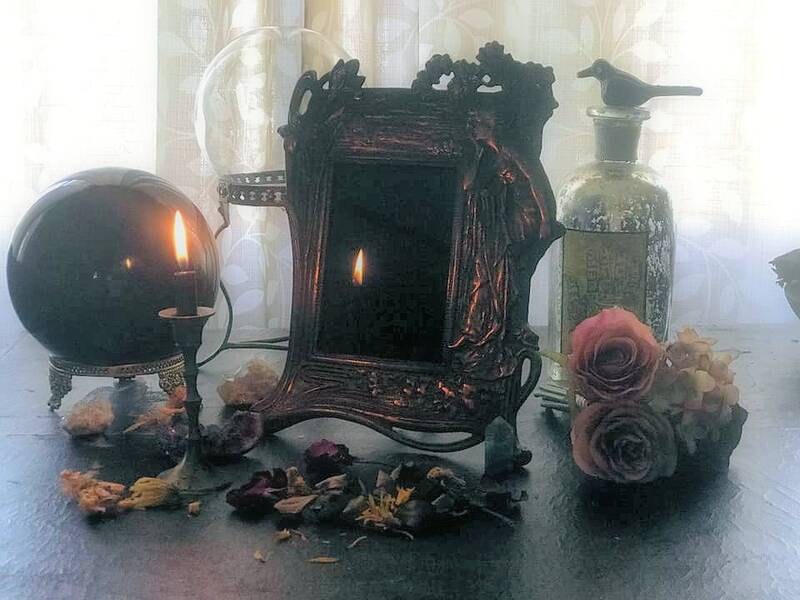 This is a beautiful mirror for your romantic or Victorian decor. 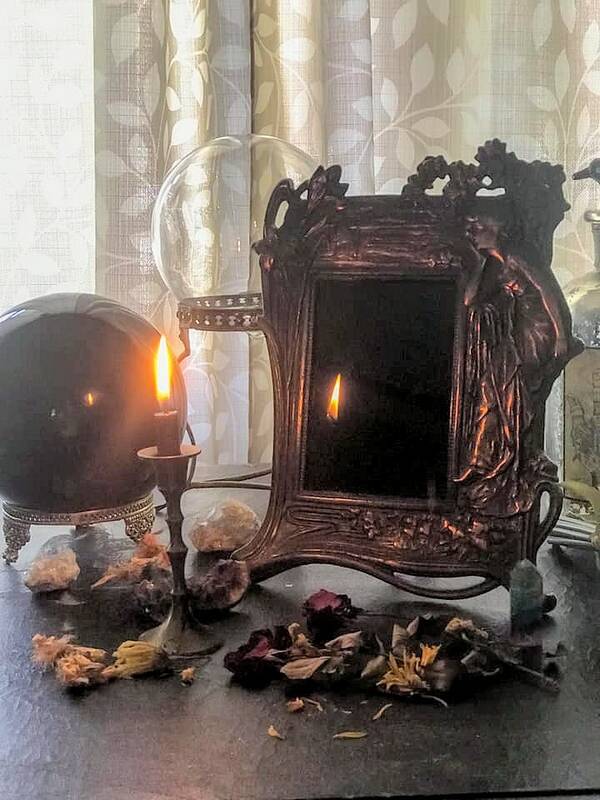 Scrying is a type of divination that has been practiced for centuries with water, crystal balls, polished brass, tin, mercury glass and black mirrors. It has been practiced by people such as John Dee and Nostrodamus. 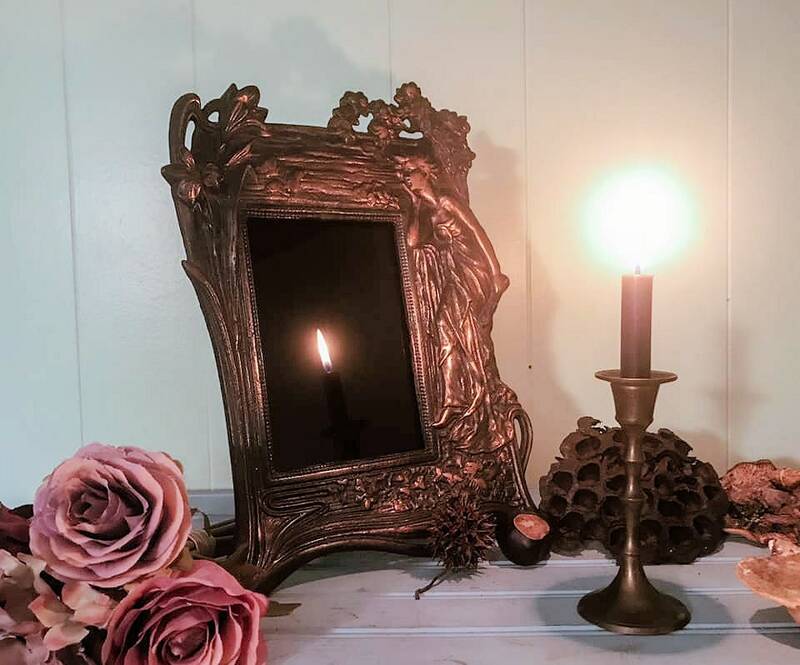 When using your mirror it is better to view into them in a darkened room, lit with a candle, and stare into them at an angle, or a bit below your vision line. 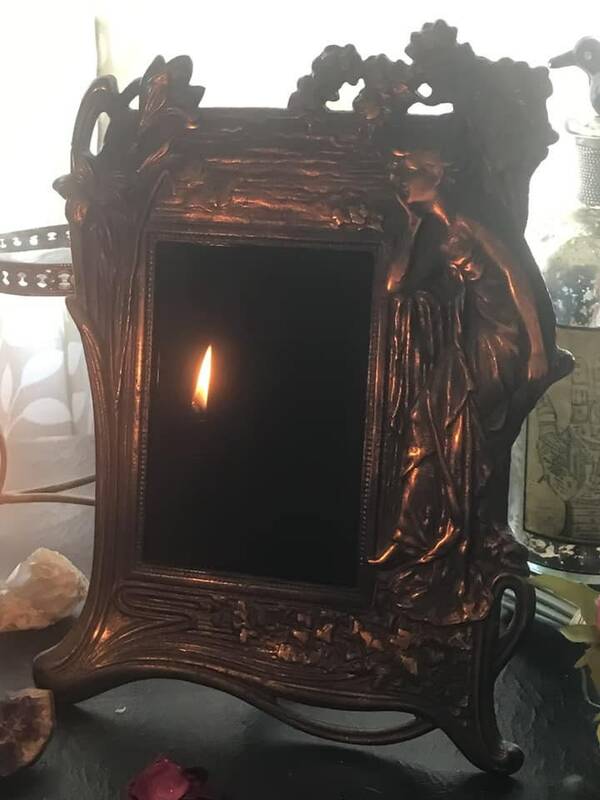 This is a antique, heavy, cast iron art nouveau mirror that I have crafted. This frame is rare and hard to find. The design features a fairy maiden gazing at the flowers. She is wearing a beautiful, detailed gown. 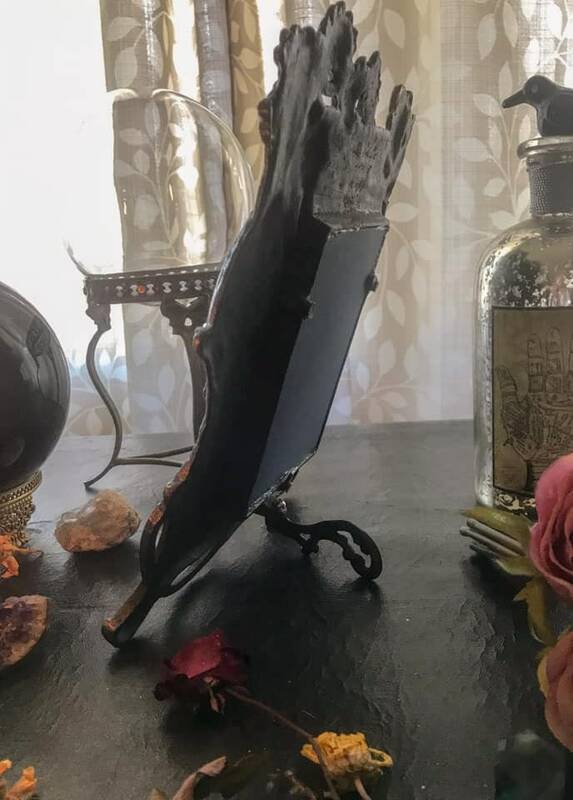 It has the original folding foot and backing on the mirror. The frame of this mirror measures 8 1/4 inches at the widest point and 11 1/4 inches at the tallest. The scrying area 3 3/4 inches at the widest and 5 1/4 inches at the tallest. I ship fast and pack the item carefully.